Tips from two of Australia’s top Aqua experts (Marietta Mehanni & Jennifer schembri-Portelli) on how to get the most out of your Water workout. Seven Exercises to do in the water. 1. Jump – Power up from the bottom of the pool. Repeat for as long and as fast as you can. 3. Cross Country Ski- legs scissor while you punch forward with one arm (opposite arm to leg) and pull back with the other, just like using a Cross Trainer (you may need a buoyancy aid in deep water). 5. Star jumps- move either; legs and arms together or try jumping legs out while bringing the arms in. 7. Donkey Kicks – standing on the bottom of the pool, kick one leg behind while punching forward with your arms. Change legs & repeat. The main advantage of exercising in Water is that it offers resistance in all directions (compared to land exercises where you work only against gravity). 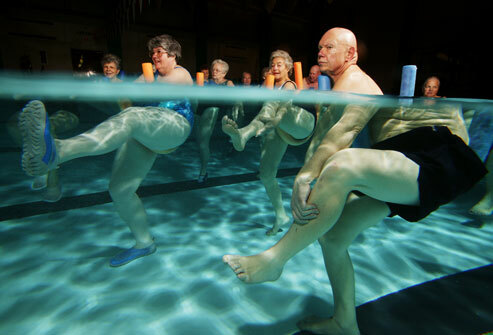 Because of the cushioning effect and buoyancy that the water provides, this form of exercise/movement is particularly beneficial to everyone, including; the elderly, overweight or those recovering from injury. At the practice we offer Hydrotherapy classes and Aquatic sessions for our clients, in the heated pool at Caboolture Swimming Pool on King Street. 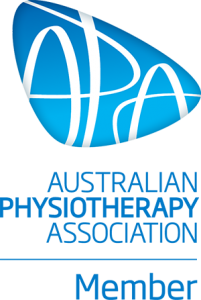 We use the properties of the water and a variety of treatment approaches (manual therapy & exercise) to address therapeutic goals. Water exercise is beneficial for people with Arthritis, Back Pain, Joint problems, MS & Soft Tissue Injuries. Hydrotherapy is great for rehabilitation.